This page shows the latest Ixempra news and features for those working in and with pharma, biotech and healthcare. 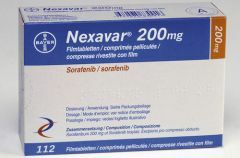 and with Bristol-Myers Squibb's Ixempra (ixabepilone), which is marketed for patients with late- stage disease after failure of an anthracycline, taxane and Xeloda. BMS' existing cancer-drug portfolio includes Erbitux (cetuximab), Ixempra (ixabepilone) and Sprycel (dasatinib). Ixempra was approved for use in women who have failed treatment on three other types of chemotherapy. ... Ixempra inhibits the protein tubulin, which stops cells growing and dividing by arresting the cell cycle.